What is better than a guest designer? That's right TWO guest designers !!!! Our next Guest Designer is Ruthie from September Ninth !! 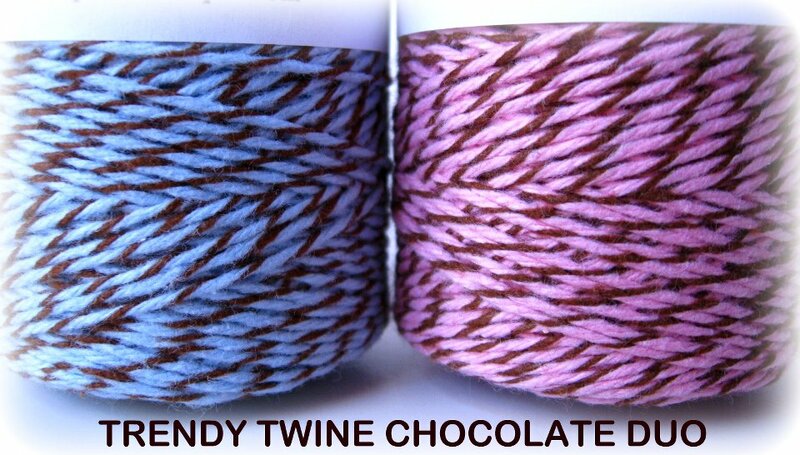 for your chance to win some Trendy Twine. 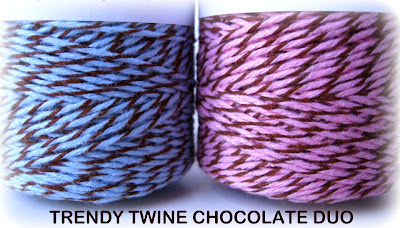 our very popular Cherry Cupcake twine !!! Here's a close up of the stitched "XO"
Thanks Tracey for Guest Designing for us !!!! Alyssa here from My Thoughts Exactly :D It is time for another fun Trendy Twine Tuesday!! To create the bracelet I used Cherry Cupcake and Posy Trendy Twine. 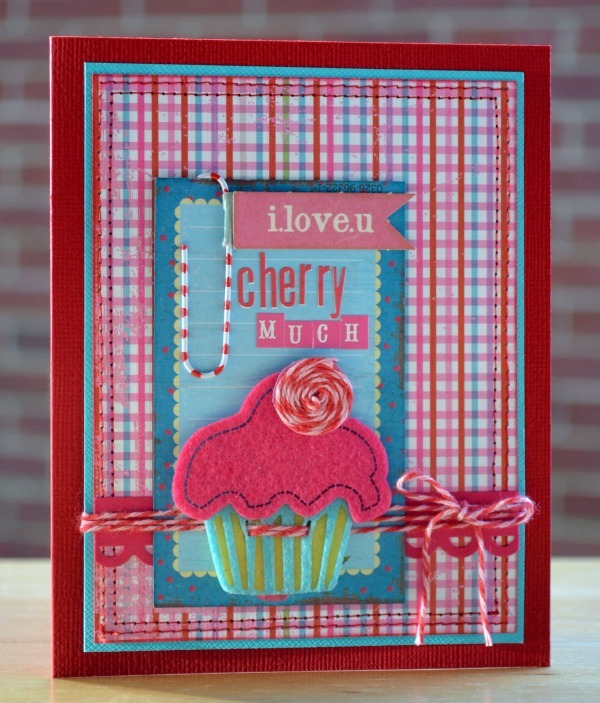 Aren't Cherry Cupcake and Posy just beautiful together?? To learn how to do this same twist check out THIS video. Hi everyone! Kasi here with a random, out of schedule post for you. I was not able to make a project for my DT day which was this last Tuesday so here I am now with a random make-up project. I made a vibrant layout using this month's featured twine, Cherry Cupcake. I used the Cherry Cupcake twine to "hang" the little banner and also spiraled it onto the center of the flower. 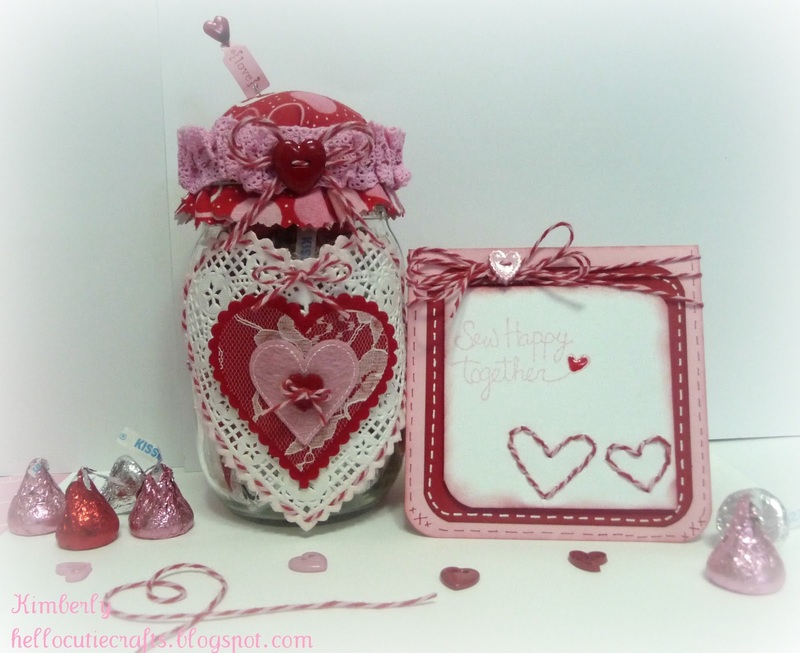 Valentine's Cherry Cupcake twine isn't just for Valentine's Day projects. 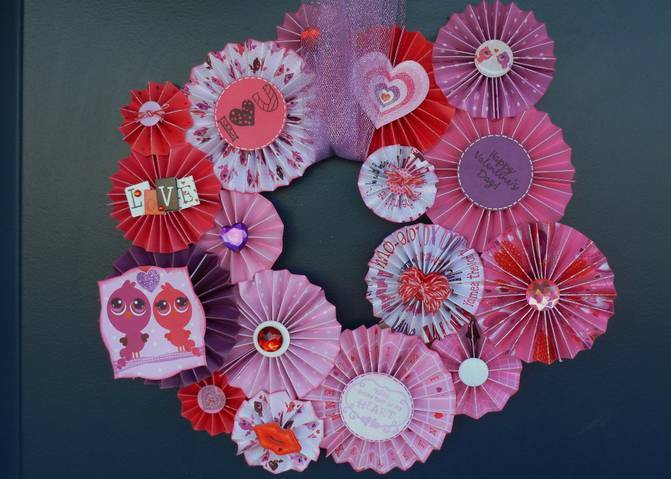 Let your imagination wander and use it for a variety of projects all year long! For more on this project visit my blog! It's Jamie and my project for today is a Test Tube Treat holder. 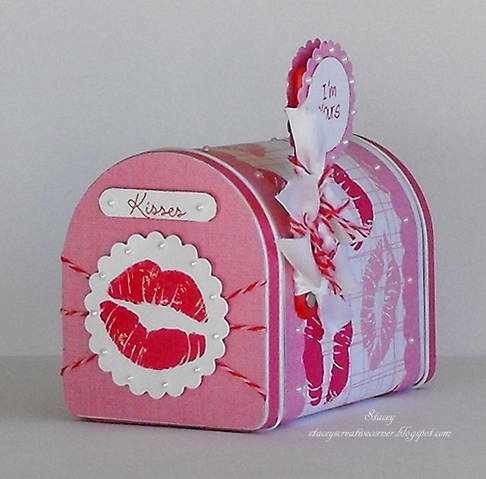 I used Cherry Cupcake to tie the Be Mine heart to the top of the test tube and made a bow. 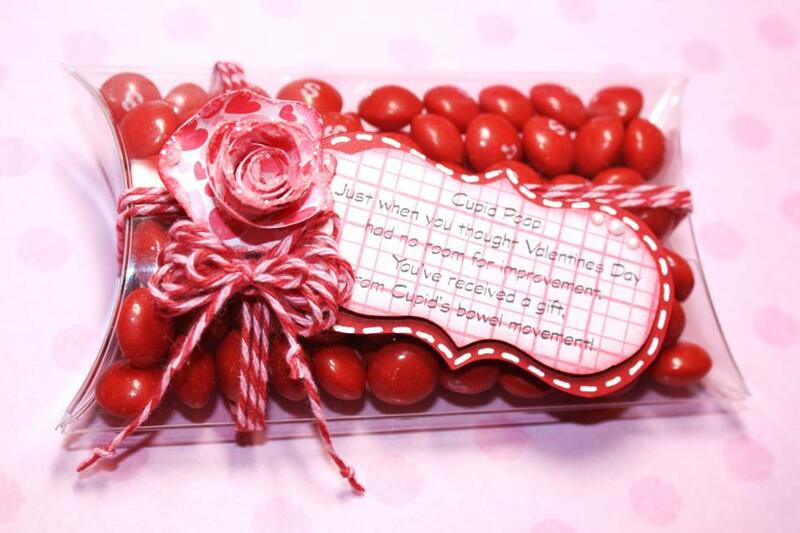 I love how well this twine matches the Valentine's Day M&M's! Then I tied 2 small pieces on her hair for bows and knit a tiny scarf for her out of Cherry Cupcake as well. How cute is Trendy Twine when it's all knit up! 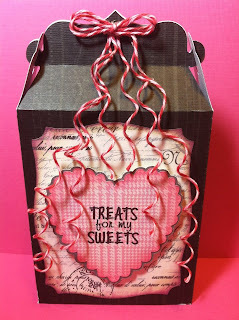 Bee here for Trendy Twine Tuesday and my project today is a take-out box for which I made a little twine handle. I braided 2 strands of Cherry Cupcake with 1 strand of Posy into a little string that I used as my handle. 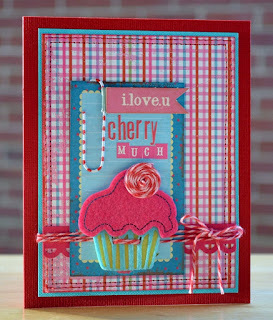 To help keep the top closed I used a loopy brad and more Cherry Cupcake twine. Chocolate Sprinkles and Chocolate Cupcake are available as a set today only at a discounted price. Set is $16; spools separately would normally cost $18. Chocolate Sprinkles is a very soft baby blue with only a hint of brown running through it. Chocolate Cupcake is a light pink with brown and was designed to coordinate with Posy. It also goes with the Valentine Cherry Cupcake. 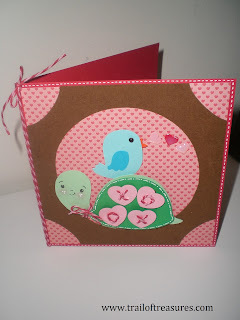 For you Stampin' Up fans, these colors go very nicely with Chocolate Chip, Pretty in Pink, and Bashful Blue. These two new colors will start shipping on January 23rd. If you order anything else with this order, it will be held and all shipped together. 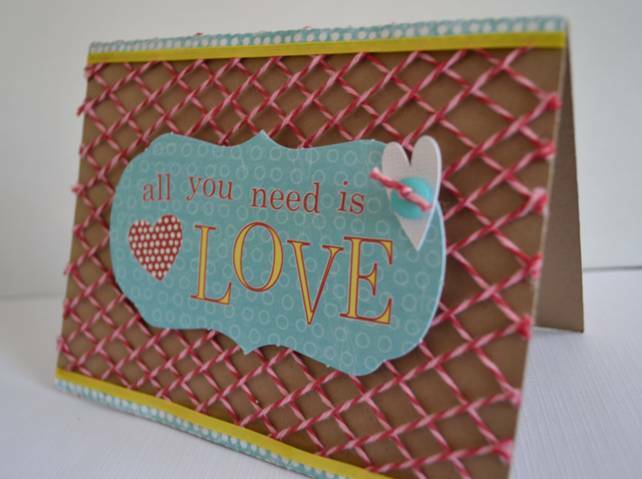 Go to Annie's Paper Boutique when you are ready to do some shopping. There are also a few of the Sky, Posy, and Kraft sets and the Sky, Posy, and Cotton Candy sets available for just $22. That will save you $5. Thank you to all of my Trendy twiners. Have a great weekend. Its Michelle from Scrappin with my Bug ! I got a Cameo for Christmas and just had to make my first cut from it. 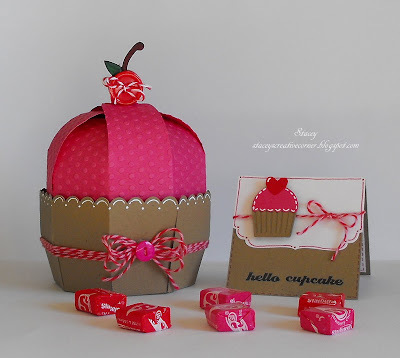 I made a 3d cupcake box, filled it with treats and used super cute Trendy Twine Cherry Cupcake !!! I also used Twisted Lime to act as the stems on the cherry! 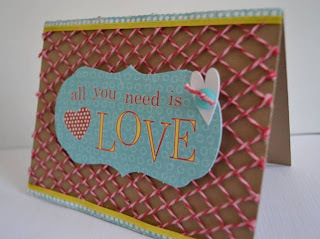 I ♥ how a twine can add so much to a project! 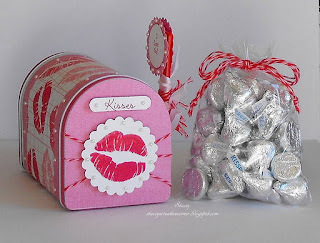 Stacey made a super cute altered mailbox. the Cherry Cupcake Trendy Twine looks! and don't forget to leave her some love while you are there! 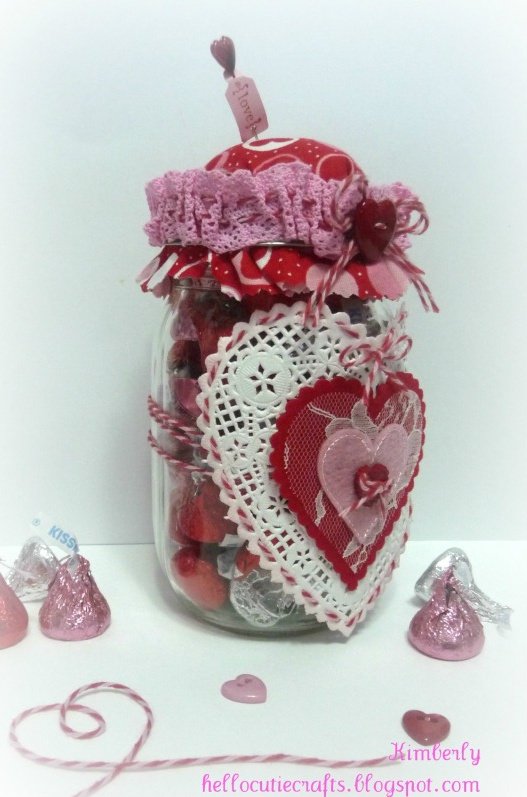 The top of the jar is an pincushion. 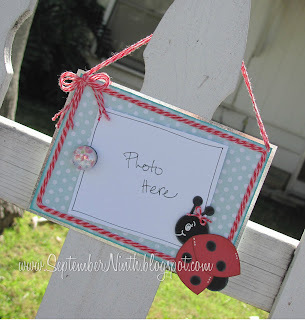 Check out all the details on her blog and leave some love too! Izzy with Write Snap Scrap. 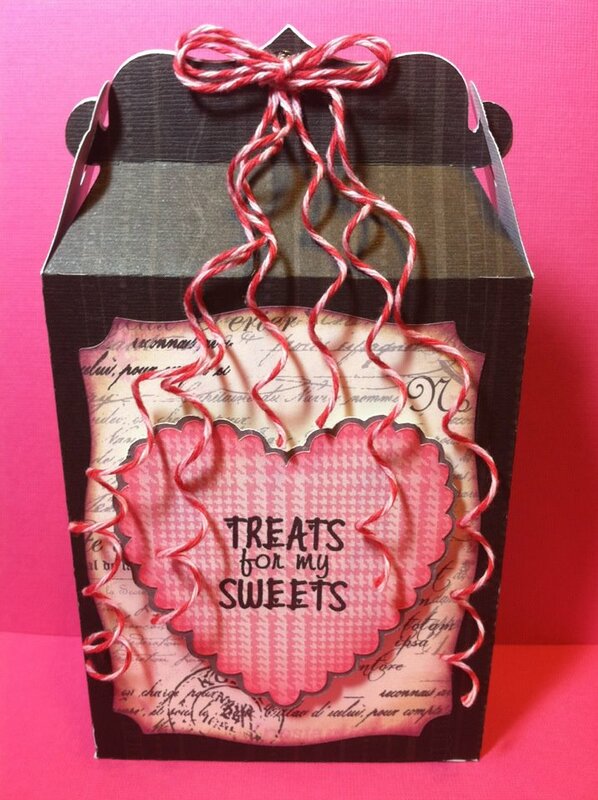 the Valentine Cherry Cupcake Trendy Twine. Aren't these cards simply delicious? our Guest Designers this month. on how to wind and how to shape twine. We hope this gave you some Trendy Twine inspiration! Don't forget to check out this month's Trendy Twine Challenge! Happy New Year to all of you Trendy Twine-ers. Valentine Cherry Cupcake Trendy Twine. Valentine's Day, but all year long. Design Team has created for you to enjoy. (by clicking on each name). Leave some love and let the Design Team know how much you enjoyed their projects. Follow us on this blog and facebook for giveaways and discounts. 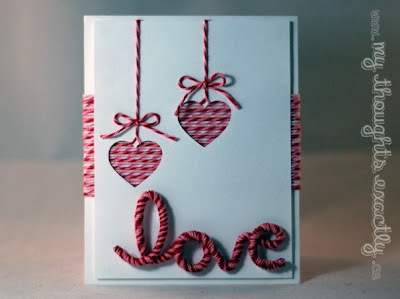 Make a project for your Valentine featuring Twine. Link up your project and No back linking, please!! Last day is Friday, Jan 27th. 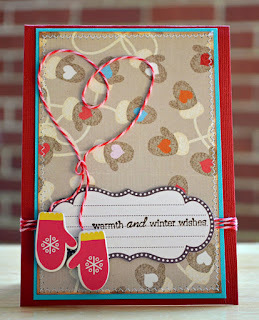 December challenge winners: Becki with The Happy Card Encouragement Factory and Yvonne with One Creative Momma. Congrats, ladies. And now to our Holiday Giveaway winners: Candi with Creating in Chaos (you have to check out her blog and look at her reindeer. Amazing!!) and Tabitha with Zippity-Do-Dah. 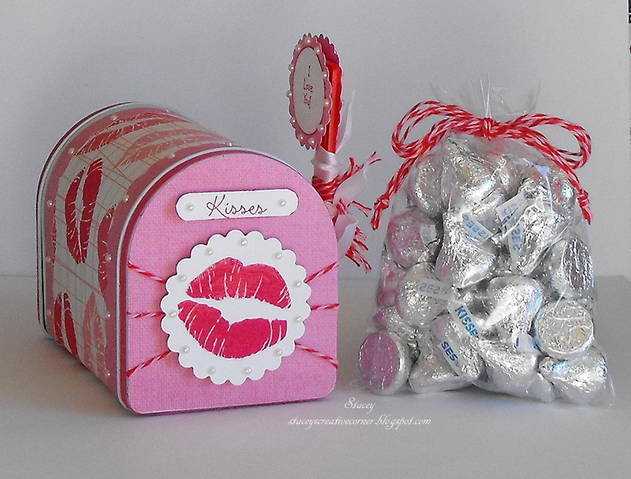 Candi and Tabitha you need to email me at annies_paper_boutique@yahoo.com and tell me if you want Berry Red or Holly Green. Thanks to all of you who played along. Hope you had some fun. We will do a giveaway later this month. Be sure to take a peek tomorrow. The DT is doing their group post using the yummy Valentine Cherry Cupcake Trendy Twine. 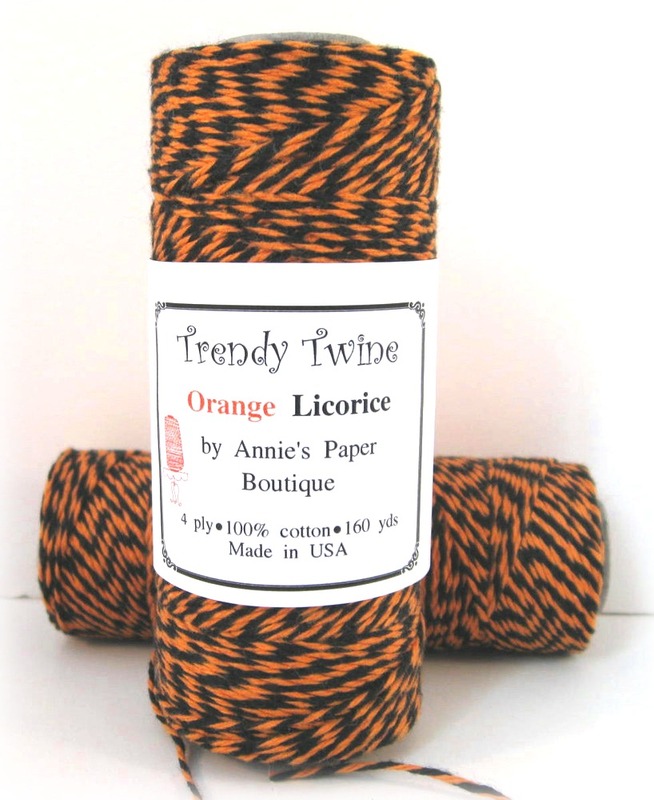 Halloween Twine is being reformulated for this year. Yay! So that means a nice clearance price for you. Spools are just $5.95 until they are gone. Double yay! Don't wait too long. These are going fast at this price. Click here to purchase.